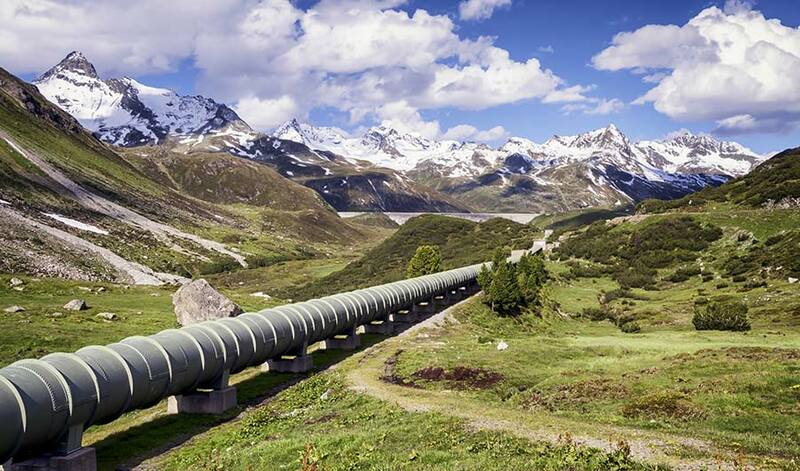 (Inside Science) -- More than 212,000 miles of oil and gas pipelines traverse the United States, transporting about 16 billion barrels of crude oil, refined petroleum products and liquefied natural gas each year. Thousands more miles of pipeline branch across the ocean floor. Monitoring the extensive network for leaks is a monumental challenge with imperfect solutions. Pipes crack, and when they do, the results can be costly -- both to the business and to the environment. "Certain microorganisms degrade or eat contaminants and, in the process, produce some electrical voltage," said Veera Gnaneswar Gude, an environmental engineer at Mississippi State University. Gude and his team want to harness those natural capabilities and package them in a sensor. At the moment, pipeline operators monitor their infrastructure a number of different ways. They may hire technicians to walk along the conduits with handheld sensors that search for gas emissions from hairline cracks. They may scan the network from the air, using drones, planes or helicopters equipped with lasers or infrared cameras. Or they may send a cylindrical, sensor-laden machine called a "smart pig" through the pipe to inspect it internally. What Happens When Oil Sands Pipelines Spill? Scientists already know that some microorganisms that live naturally in soils and ocean water can feed on hydrocarbons like methane, ethane, butane, propane and pentane. Colonies of them bloomed and thrived on the oil spilled from BP's Macondo well during the Deepwater Horizon disaster in April 2010. Other microbes that take in chemicals and produce electrons as a byproduct have been well studied for use in microbial fuel cells that remove pollutants from wastewater and at the same time generate electricity. Gude's new sensor works like a battery based on microorganisms that live in marine waters and sediments. On one side is an anode made from a porous membrane that contains a concentration of hydrocarbon-loving microbes. When molecules from hydrocarbons pass through the membrane, the organisms eat them and send electrons across a resistor that regulates and measures the flow of electrons as they move toward the cathode. At the cathode, a colony of electron-eating bacteria enjoy a meal. Chris Reddy, a senior scientist at the Woods Hole Oceanographic Institution in Massachusetts, told Inside Science that he thought the idea of using bacteria in a sensor that attaches to the outside of a pipe was clever. "Bacteria are very capable microbial degraders," he said. But he cautioned that sometimes bacteria stop eating hydrocarbons. "It's like a buffet. Bacteria will eat the great stuffed shrimp and the prime rib, but when it gets too hard to eat or it's not that palatable, they'll stop eating," he said. That could make it difficult to fully rely upon such bacteria to do a particular job. "They face an interesting challenge," said Reddy. "If they succeed, it would be awesome." "We want to develop a sensor that would actually provide a holistic solution for this problem," said Gude.